Game Studio Sues Another Over The Word "Rebellion"
Stardock is now fighting a legal war on two fronts. Only a day after news of its case against a former employee emerged, the publisher is now being taken to court by Rebellion, the developers of games like Sniper Elite and the original (and awesome) Alien vs Predator. The issue? 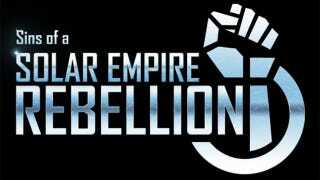 Stardock is the publisher of Ironclad's recent Sins of a Solar Empire expansion, Rebellion. Which Rebellion the developer feels will cause confusion and threaten sales, not to mention leading consumers to believe the two companies are related. Rebellion says it sent Stardock a cease-and-desist in April, which the publisher seemingly ignored. What a curious case. Rebellion has been around since the mid-90s, during which time games as diverse as NIS' Last Rebellion, Mass Effect 3's Rebellion DLC and Lucasarts' Star Wars: Rebellion were released. I don't remember any lawsuits being filed against them.